Keeper leaned over the edge of the boat. In the darkness of the night, she glared at the black surface of the water. She hoped the not-allowed word would sink down to the bottom of the pond and etch its way into the crabs’ hard shells. She couldn’t see them, but she knew they were down there, scuttling along the bottom of the pond. In her entire ten years she had never heard crabs speak before. And then, that very morning, all ten of them had called out to her. Those ten crabs had turned this whole day into a disaster. Keeper checked the rope that held her boat to the pier. It was still too tight to untie it. She needed the moon to rise, which would make the tide rise, then the boat rise, which would make the rope go slack, which would mean she could untie the knot, which would mean she could set her plan into action. Her perfect plan. “Come on, moon,” she implored. Didn’t it know she was in a hurry? As soon as she said the word “moon,” she chewed on her bottom lip. So much had depended upon tonight’s moon, a blue moon, second full moon of the month. Finally, Mr. Beauchamp’s night-blooming cyrus. All three of those things had depended upon the blue moon, and all of them, every one, had been ruined. Keeper never wanted to see another crab in her entire life! Never, never, never! And now she needed the moon to turn the tide around and pull her out of the pond, through the channel, and into the breakers until she got to the sandbar. That was the plan… or at least the first part of the plan. References to mermaids and mermen are woven throughout the story of Keeper and her family. Ask students to form small groups to investigate the legends and folklore surrounding mermaids and mermen. Ask each group to research one of the following: Sedna, Ningyo, sirens, Meerfrau, Yemaya, Lorelei, and Rusalka. Have students prepare a presentation for the class that would include their findings and a picture of their subject. 1. What is a blue moon? How often does a blue moon occur? What important events supposedly occur on the night of a blue moon? 2. Why does the author allow the reader to see the human characters from Sinbad and BD’s points-of-view? How do the animals portray the humans? What do the readers learn about the animals that they wouldn’t know if they were not able to read the account from the animals’ points-of-view? 3. On page 92, Keeper refers to “double insurance.” What does she mean by that phrase? How does Keeper gain “double insurance”? 4. What does the reader learn about Signe through Keeper’s descriptions and interactions with her? How would you describe Keeper and Signe’s relationship? 5. Keeper’s biggest fear is that everyone she loves will leave her just as her mother did. (p. 105) What proof does Keeper have that her fear is unfounded? Why is her fear so real to her? What has happened to unleash Keeper’s fear? 6. As Keeper waits in The Scamper for the tide to rise, why does she have second thoughts? What are her second thoughts? Why does she continue to ignore her instincts? 7. Signe’s stock answer to questions for which she doesn’t have the answers is, “That is a question for the universe.” How can a question for the universe be answered? Why isn’t Signe willing to discuss those questions with Keeper? 8. The night Keeper takes The Scamper out through the cut, for what does each character wish? How are their wishes granted? Is it a night for the “magic of wishes”? Why or why not? 9. How does the trauma of almost drowning in The Scamper allow Keeper to remember the truth about her mother, Meggie Marie? 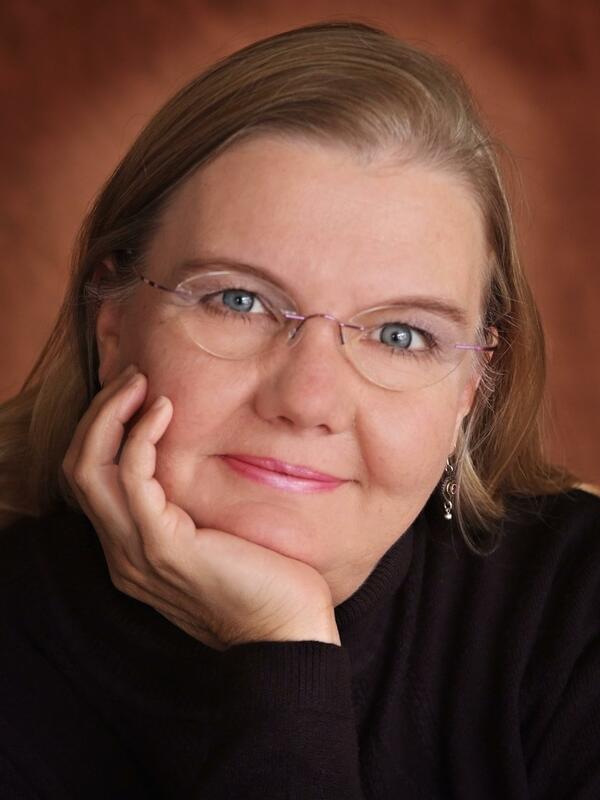 What is the truth about Keeper, her mother, and Signe? How did Keeper get her name? 10. Dogie, Signe, and Mr. Beauchamp all lose something important to them as a result of Keeper’s choices. What do they lose? How does each of the characters cope with their loss? What does Keeper lose? How does she find it? 11. What roles do BD, Sinbad, Too, and Captain play in Keeper’s story? How do they help save her life? 12. What connection does Jacques de Mer have to Mr. Beauchamp? What signal calls Jacques de Mer to The Scamper to save Keeper’s life? 13. What makes Mr. Beauchamp, Dogie, Signe, and Keeper a family of sorts? In spite of the hurt feelings, how does the day and night of the blue moon draw the four characters closer together? 1. Keeper’s story occurs in a twelve- to fifteen-hour period of time. Ask students to think of a time when an important event, either positive or negative, has happened in their family or with their friends over a similar time period. Then ask students to make a time line of events, listing all of the major occurrences and illustrating them. Using the time line as a storyboard, have students write a personal narrative of the events including sensory details, dialogue, and character thoughts, where appropriate. Share and post time lines and narratives in the classroom. 2. Ask students to select a partner and to study the setting of the book, the gulf coast of Texas, just south of Houston. Students can investigate the marine and animal life, climate and weather, tide and currents, occupations and recreation, and other aspects of living on the coast in South Texas. Ask students to be creative with the final product and to produce a tourism brochure for a remote beach, a videotape or CD commercial advertising the Gulf Coast attractions, or a layout for a proposed website for the Houston, Texas,, coastal area. 3. Ask each student to select a character in the novel and, using the persona of that character, to write a letter to another character. Based on what the reader knows about the relationship between the characters and the personality of the characters, the letter should include apologies, if necessary; an explanation of what the character means to the letter writer; positive attributes of the character being written to; and other heartfelt expressions of love and/or friendship. 4. Dogie owned a surf store of sorts on the coast. Ask students to research surfing and to report on one aspect of the sport: the equipment, the types of surf, how to surf, or a biography of a famous surfer. Create a classroom bulletin board with the information. 5. BD, Sinbad, Too, and Captain all seem to understand their humans and to know how to communicate with them. The animals also seem to have an intuition for sensing danger. Have students interview zoo or ranch personnel, pet store owners, veterinarians, family members or friends inquiring about similar animal experiences. Have students choose a format to share their research: in terviews, personal narratives, poems, etc. Compile their accounts into a classroom book. 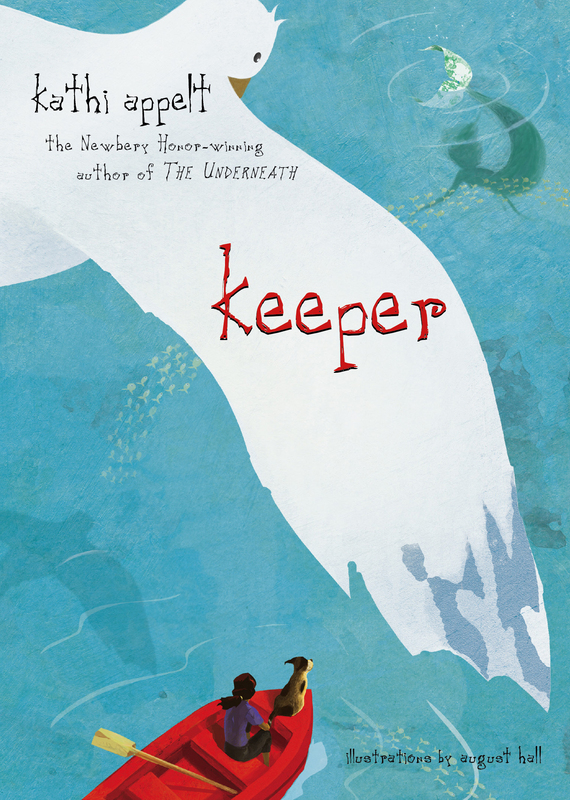 Keeper believes in magic, wishes, and the wonder of mermaids. It is these beliefs that cause her to have the worst day in her ten-year-old life—all because she hears the crabs asking her to set them free. Stupid crabs! First, she breaks Signe’s bowl when she slips on water, setting the crabs free. Then she allows her dog, BD, to chase the cat, Sinbad, which leads to the destruction of Mr. Beauchamp’s antique roses and Dogie’s prized ukulele. She knows the only way to fix the mess she has created is to find her mother, Meggie Marie, the mermaid. Making an elaborate plan to meet the mermaids at the cut on the night of the blue moon, Keeper borrows Dogie’s small boat, but the blue moon doesn’t cooperate, and the tide carries her far out to sea. With her life hanging in the balance, her animal friends come to her rescue in a bizarre way, and she even receives help from the mysterious Jacques de Mer. Keeper learns the hard way what love is and isn’t and, more importantly, how families stick together through thick and thin.